According to some, I am a social media influencer. It might be true although I do not feel like an influencer. There are numerous people with larger Twitter accounts, and numerous people I still look up to. Nevertheless, I guess having over 100,000 Twitter followers somehow pleasures my ego. And, like everyone else, I still like to increase this number. Looking back at what I have done to get where I am, I find that the one moment when all changed when I suddenly got somewhere with what I was doing, was the one moment when I decided to ignore all advice. Let’s call this the “F$§%-It-Lets-Do-This-Moment” of my life. I had spent days, weeks, month, maybe even years, researching social media. I had read numerous posts and white papers, watched videos and listened to podcasts. Only to find out that most advice that I was given did not work. At least not for me. This becomes most visible when you examine my Twitter account. Because a little over 2 years ago, I had 80 followers. This is even more embarrassing, as I had already founded exploreB2B back then. We had always depended on social media to become a key marketing activity for us – yet: We weren’t getting anywhere. Social media seemed to be an overhyped pool of attention thirsty nobodies with a few high profile people swimming in the warmer waters near the surface. When I started ignoring peoples’ advice, I noticed that everything started to fall into place. Our accounts started growing; we started to gain traction, and we started to get noticed. Most of the blog posts about social media marketing back then classified these tactics as spam. Yes, that is right. In the eyes of many people back then I became a spammer. I was cheating. I was also becoming a successful social media marketer. 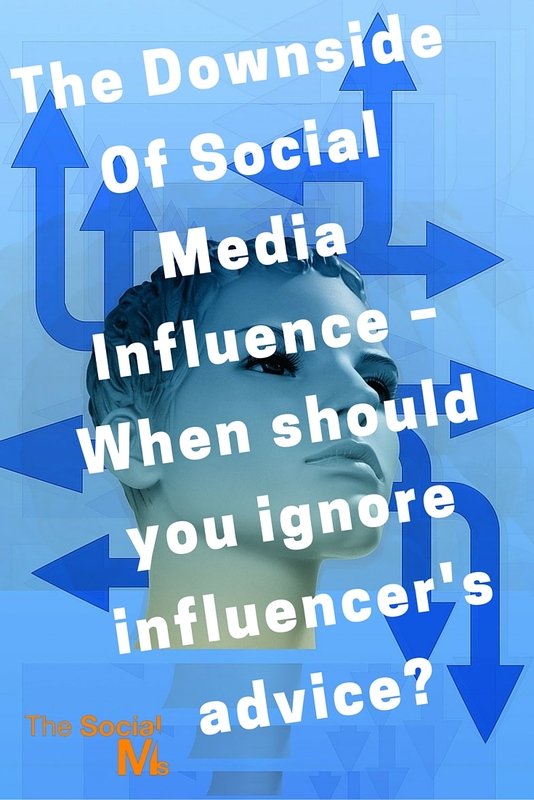 The “F$§%-It-Lets-Do-This-Moment” of my life came to pass because I read another article by a well known influencer. His name is Jeff Bullas. The article described how he gained a targeted Twitter tribe of 100,000 in under a year, using the above tactics. This went against everything I had read and accepted as common knowledge until then. “Don’t spam” is basically the first advice given to anyone in social media marketing. So I went ahead and did it anyway. I have described how to use Twitter with content in my article yesterday, that is not what I want to talk about today. Today is about social media advice in general. Because when you are starting out, have less than 10,000 followers but are in the game for marketing reasons, here is how I would go about every little piece of advice I am given. Accept the fact that 99% of social media advice is false. 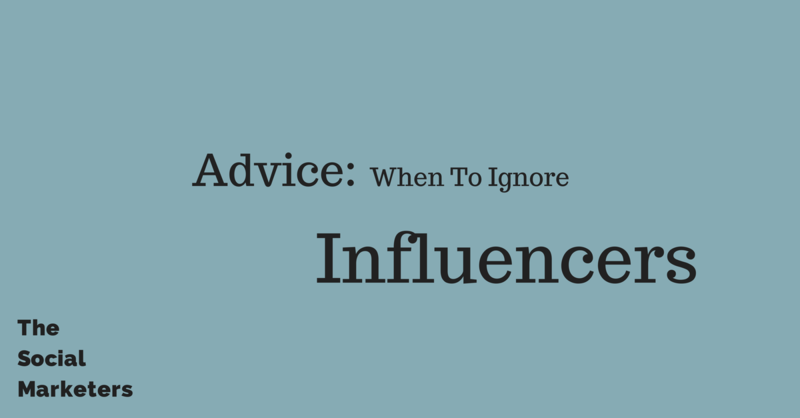 The clue to learning from others is to identify those who actually give valid advice. 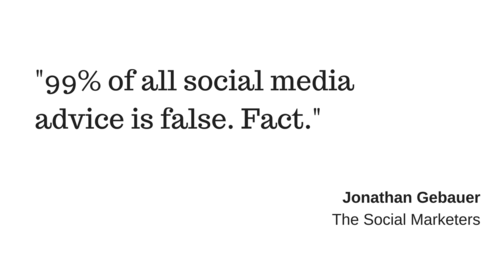 Accept the fact that 99% of social media advice is false. Not qualified: Have fewer followers than you do. This already disqualifies 80% of social media consultants. How can people actually believe that they can give you valid advice on how to grow to thousands of followers when they have a couple of hundred? These are the most dangerous ones, the people who tell you to post only once a day, but who post more than 30 tweets. Or telling you to only follow a few people but who are following thousands. Research their blog post and have their Twitter account open. You’ll be amazed. This is actually pretty common: A lot of influencers are the people who were in the game from the start. Early adopters, founders, tech people… These neither remember the struggles they had back then nor did they face the same struggle as you do today. In my book, when someone belongs to the above categories, I would warn you to listen to anything he says. But even if you read my advice (I find that I hopefully do not belong on this list), always be careful. Don’t take my word for granted. I can only tell you what worked for me – but that does not mean that everything will be the same for you. Social media is a changing landscape. Every day something happens. 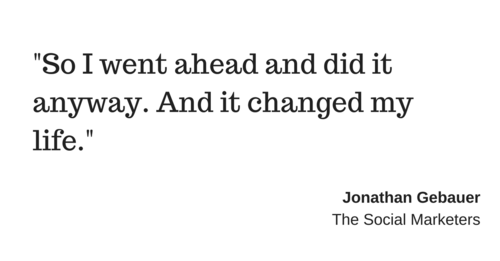 Algorithms change, habits evolve. In this game, all I can give you is a direction to head towards. The map I have is already too old. So, don’t take anything for granted. Question everything. That is how you will succeed!